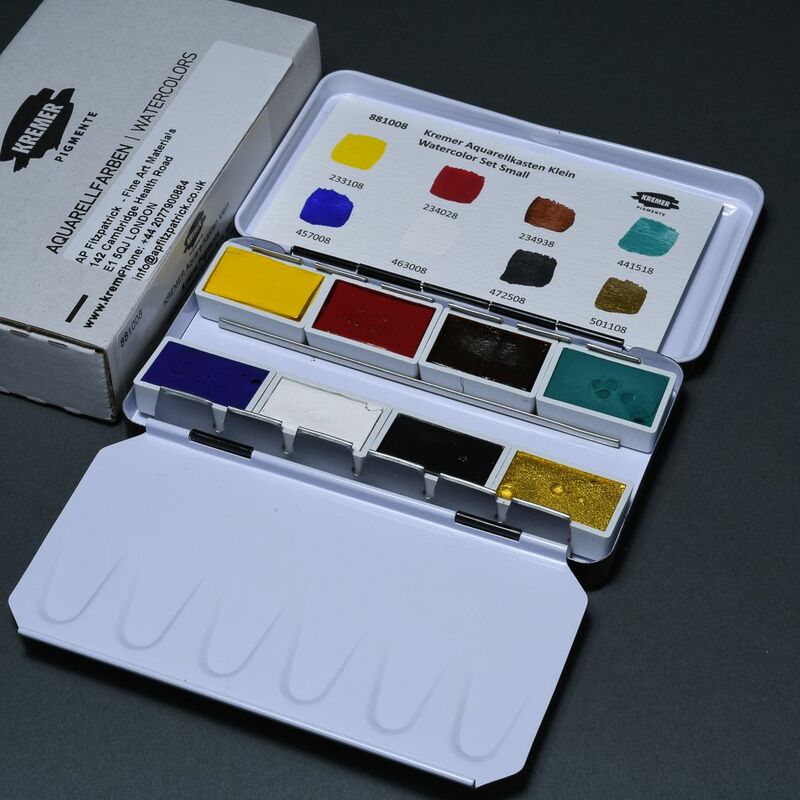 Kremer Watercolour Medium is formulated with gum arabic, honey and glycerin to give excellent results when combined with dry pigment or as an additive to an existing watercolour paint. 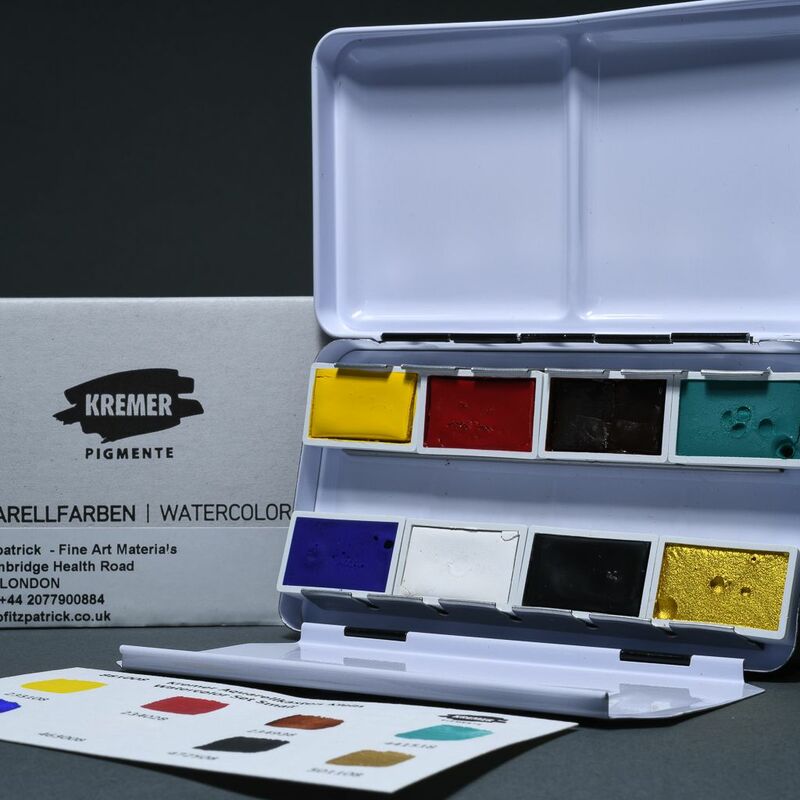 Kremer Watercolour box, with 14 full pans, very lightfast and pure pigments. *APF Special* Stunning NEW Saunders Waterford 300gsm (Hot-Pressed) Stretched Paper Canvases over wooden stretchers.